World-renowned violinist and teacher, Moshe Hammer, has seen the scars of war and violence and the power of music to heal them. Born in the ruins of Budapest, Hungary after World War II, Moshe and his family traveled to the new country of Israel as refugees. There, as Israel was struggling to build itself in a troubled region of the world, young Moshe established himself as an award-winning musician. Moshe has studied at the University of Tel-Aviv’s Rubin Academy of Music, the Julliard School in New York and with violin masters Jascha Heifetz in Los Angeles and Yehudi Menuhin in London. Ross Inglis is the Director of Music at Knox United, currently runs a private studio of fifty students and is the conductor of the professional choir for the High Holy Days at Temple Sinai in Toronto. An accomplished athlete as well as musician, Ross has run 25 marathons or ultra-marathons, including four Boston Marathons, several 50-km races, and races of 50 miles and 100 km. Xiao Grabke is one of the most sought after violin pedagogues in Toronto and over the past 20 years has taught numerous violin students through Havergal College, the Royal Conservatory of Music and Grabke Violin Studio. She has a Music Performance Degree from the University of Toronto and is a tenured orchestral member of the National Ballet of Canada. Ms. Grabke has recorded many CDs and jingles with CBC and has played in numerous Broadway musicals in Toronto. Ms. Grabke has a passion in seeking out and nurturing young musical talent. She believes it will enable them to focus strongly in school and capable to achieve higher goals in life. She says, “Music simply brings out the strength and the beauty of each child”. Brian Baty is a professional freelance musician who has performed with most professional orchestra’s in Ontario including the Toronto Symphony, the National Ballet of Canada and the Canadian Opera Company. 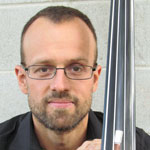 He also currently holds the position of principal double bassist with the Niagara Symphony Orchestra. 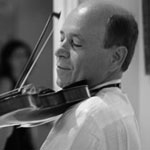 Brian also maintains private teaching studio as well as coaching string sectionals in elementary schools, secondary schools and community orchestras. 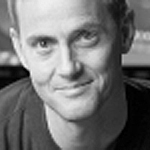 He has also been a sessional lecturer at Lakehead University and has presented master classes at Western University. Brian is thrilled to be teaching with Hammer Band. Having received his own start in music through the public school system, he is particularly aware of the impact music can have on a student’s life. 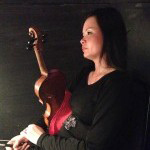 Jane Quinn has been teaching violin for over 25years. She was a co-founder of The North York Suzuki School of Music in Toronto. In 2005 she moved to Rothesay, New Brunswick where she enjoyed teaching violin in the local school district’s strings program as well as her home studio. She enjoyed being concertmaster for a local community orchestra and being part of the freelance community. While in New Brunswick she also taught English to newcomers and refugees through the local YMCA’s LINC program. In 2013 & 2014 Jane was a violin adjudicator at festivals in Nova Scotia, the YIP Festival in Toronto and Toronto Mandarin Lion’s Club Music Festival. 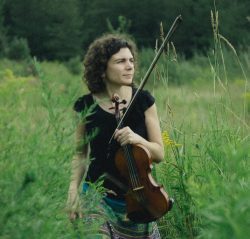 Presently, Jane resides in Toronto where teaches violin at The North York Suzuki School of Music, the Miles Nadal Jewish Community Centre’s Suzuki program as well as her home studio. Currently based in Toronto, Naomi is an active freelance musician playing regularly with groups such as the Toronto Symphony and Canadian Opera Company. She has been featured live on CBC radio and is an avid chamber musician, recently collaborating with the renowned Robert McDonald. A seasoned orchestral musician, she has performed under the batons of such celebrated conductors as Seiji Ozawa, Simon Rattle, Daniel Barenboim, Lorin Maazel, Zubin Mehta, Riccardo Chailly, Valery Gergiev, Jesús LópezCobos, Giovanni Antonini (Il Giardino Armonico), and James DePriest. Passionate about bring music to our children, Naomi has guest taught at the RCM, JCC and the Etobicoke Suzuki Music school as well as the Hammer Band. 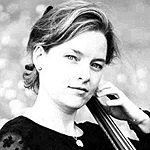 She spends her summers in southern Oregon where she is in her fourteenth season as principal cellist of the Britt Festival Orchestra and is regularly featured as a soloist. Elena Spanu started playing the violin when she was three. She began her studies at the Royal Conservatory of Music and continued to develop her skills at the University of Western Ontario where she received a Bachelor of Musical Arts. It is at Western where she discovered Baroque violin and moved on to complete an Artists Diploma in Baroque violin at the University of Toronto under the direction of Jeanne Lamon and other members of Tafelmusik. Elena currently holds the chair of principal second violin with the North York Concert Orchestra and plays regularly with the Niagara Symphony. She also free lances and plays with orchestras and chamber groups in and outside of Toronto. In addition to classical music she also enjoys playing Irish and old time fiddle music. Elena is a Suzuki violin teacher and has received training in levels 1 to 8. She is the director of the Toronto Suzuki Studio and a faculty member at the North York Suzuki School of Music. Elena is very excited to be joining The Hammer Band. 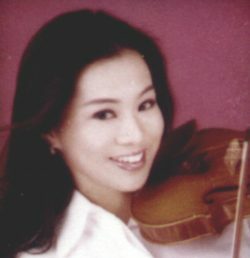 Canadian violinist Praise Lam is thrilled to be working with the Hammer Band. An avid promoter of arts in education, Praise believes in the power of music. Having worked with students and youth orchestras of all ages in the Peel and Toronto School Boards, Praise continues to maintain an active role in music education. Her performances as a award-winning violinist has taken her from her hometown stage in Canada to appearances in Hollywood’s 20th Century Fox Newman Scoring Stage in Los Angeles, California. An accomplished pianist and composer as well, Praise currently works as a professional freelance musician in Toronto. Praise holds an ARCT Diploma from the Royal Conservatory of Music, a Bachelor of Music Performance degree and a Bachelor of Education degree from the University of Toronto. For more information on Praise Lam, please visit www.praiselam.com.